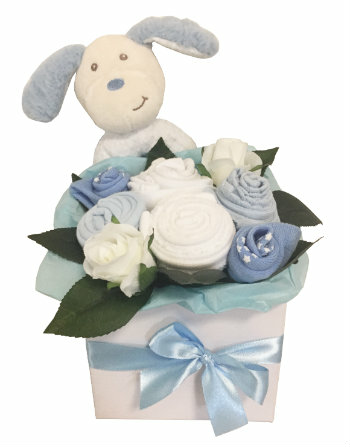 Click the button below to add the Baby bouquet heavenly boy to your wish list. Your bouquet is gift wrapped and comes with a complimentary gift card,for your own personal message. Delivery fees are calculated at checkout. If you are unsure of delivery costs or require any special arrangements Addictive Gifts would be happy to give you a quote prior to placing your order. Please feel free to contact us should you require any further assistance.